Age UK Cheshire and Wearpurple Arts enjoying afternoon tea in The Thompson Suite by Benjamin Lauren Event Caterers. The Lion Salt Works is able to host small business and group meetings, conferences and social functions in the Thompson suite. Room hire is from half a day to a full day. Tea, coffee and biscuits can be provided at a cost of £1.75 per person per serving. 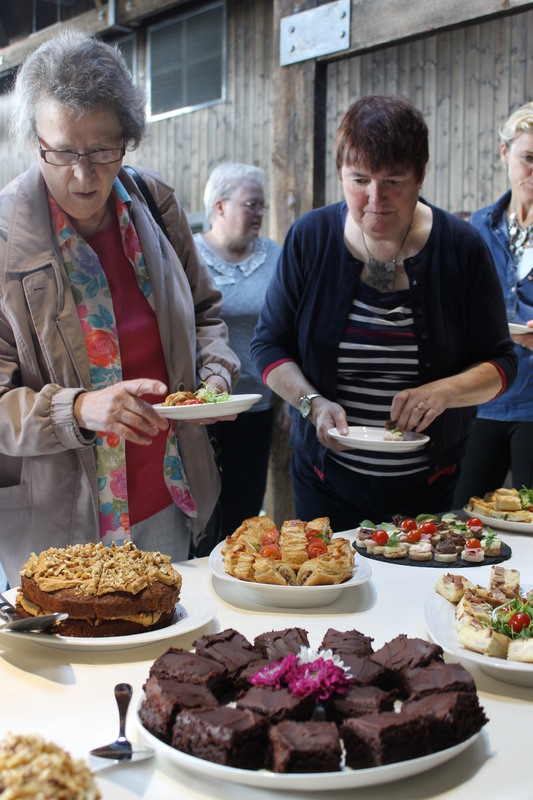 We do not offer full catering facilities onsite but can arrange for outside catering menus for your event. Please see below under ‘Social functions’ for more information. Block bookings may be made for a maximum of 4 weeks ahead. To book, please contact lionsaltworks@cheshirewest.gov.uk with your preferred dates and times, group name, group leader’s name, group numbers and any special requirements.